One delightful constant about Eve Online is the dedication and energy expended by so many of its players to benefit the community and provide content in and out of game. The third party tools, blogs, podcasts, services, contests, competitive events, meet-ups, Twitch streams, YouTube video channels, niche corporations, and many other interesting initiatives weave a tapestry of community that extends far beyond the game itself. When Xander Phoena invited me to write for Crossing Zebras, I saw it as a great opportunity to get to know the “EVEtrepreneurs” behind such initiatives, learn more about their projects, and share that with CZ readers. In particular, I hope that my articles encourage new players to become more familiar with and more strongly entrenched in the community as well as inspire them to invest talent and energy in their own initiatives. Most initiatives come about because a player identifies a need and decides to address it. This is what inspired me to found Hellcats in 2008. I had been flying in other pirate corps, blogging about my adventures, and not bothering to hide the fact that I was a female player (since…you know…I AM female). I got lots of eve-mails from other women players who read my blog. Some of them were seeking social connections with other women players, some were new players who wanted to learn to PvP or become pirates but felt self-conscious asking boyfriends or other guys for help, some mused about a women-only corp where we could let our hair down and speak freely about girl things – just like on girls’ nights out in real life. At the same time, I was coincidentally feeling the itch to run my own corp and do things my way. Being a pirate, there was no question it would be a pirate corp in low sec. In response to the interest that had been shown, I decided to make it women-only, too. I envisioned Hellcats as a relaxed, nurturing environment where women could learn to PvP, get their yarr on, and enjoy the special camaraderie of a corp chat where girl talk was the order of the day. Thus Hellcats was born. One might say it was the very epitome of a niche corp. Our membership grew steadily but, wanting to keep it small, I set a cap at 25 members. Our small size did not mean any lack of opportunities to PvP, as we were friends with many low sec pirate corps despite keeping blues to the barest minimum. Typically, we’d shoot at our neighbors one day and fleet up with them the next. We had our corp roams, our girls-only roams with other ladies from the Women Gamers of Eve (WGOE) channel, and ad hoc public roams. A lot of social engagement happened in my Hellcats Pub channel, which tended to be a lively and rowdy place open to anyone who cared to sit in. Eventually, the constant requests from guys to fly with Hellcats (and quite a few very funny applications from guys trying to charm their way into the corp) inspired the formation of HellHounds. as a brother corp for the guys. For a while both corps flew under the flag of the HellFleet alliance which I led. In early 2010, after much encouragement from my low sec friends, I threw my hat in the ring for CSM5. On a mainly “fix low sec” platform, I embarked on an intense campaign. Meanwhile, activity in Hellcats had dwindled and drama had increased both in the corp and in the alliance. Pouring so much energy into my CSM campaign didn’t leave much for dealing with the drama and demands associated with being a CEO and alliance leader. So I handed over the reins to a director and departed to try mercenary life with Noir. It was a fun experience and a big relief to let someone else dictate where and when to be somewhere, what to fit, and who to shoot. Then to my surprise, I was elected as Chairperson of CSM5. If I thought my campaign had been intense, actually serving on the CSM was a magnitude more demanding. I barely logged into Eve during my year-long term. Feeling drained and disillusioned when my CSM term was done, I decided to be done with Eve, gave away most of my ISK and assets, and unsubbed. Over time, Hellcats and HellFleet closed, and Hellhounds. went inactive. I didn’t notice as I was busy getting my perspective back in real life and was largely tuned out of all things related to Eve. But then… I started to miss my spaceships! So I resubbed in April 2014, determined to play casually. There were many demands for me to restart Hellcats but that didn’t and doesn’t interest me. I enjoy my nomadic, unencumbered life in New Eden. However, the Hellcats mystique persists and some women I knew from the old days expressed an interest in relaunching it. “Go for it”, I said. 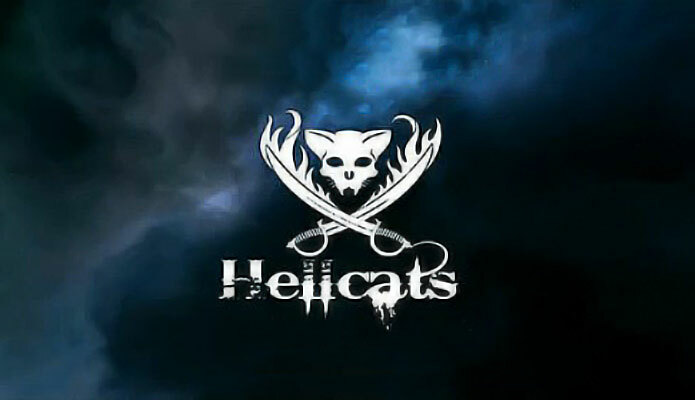 Eventually, Dian Lung (a long-time Hellcats fan) took the initiative by starting Hellcats Reloaded [HCATZ]. We spoke recently about her new project. Mynxee: You recently launched Hellcats Reloaded, a reboot of Hellcats. What inspired you to do this? Dian Lung: The first inkling of what is now Hellcats Reloaded came about for a couple of reasons. For as long as I’ve been involved with Women Gamers of EVE, there’s always been this idea that going on all-women roams or having an all-women PVP corp is a cool thing to do. A few other ladies raised the idea in the past, but it has always fizzled out – I think it’s because so many of us are happily settled in our current corps. But having just come back to the game after a six-month break and parted ways with my previous corp, I was in a good place to act on the idea. I have to admit that seeing you return to New Eden was a catalyst for that, too. My other reason for wanting to start Hellcats Reloaded is purely selfish. I spent the early part of my EVE career in high sec, missing the boat on joining the original Hellcats by about six months. Not having been a Hellcat was one big regret I have had about my time in EVE, so when the opportunity came again I wasn’t about to let it go. Mynxee: Tell us about your history in New Eden. How have your experiences prepared you for your Hellcats Reloaded initiative? 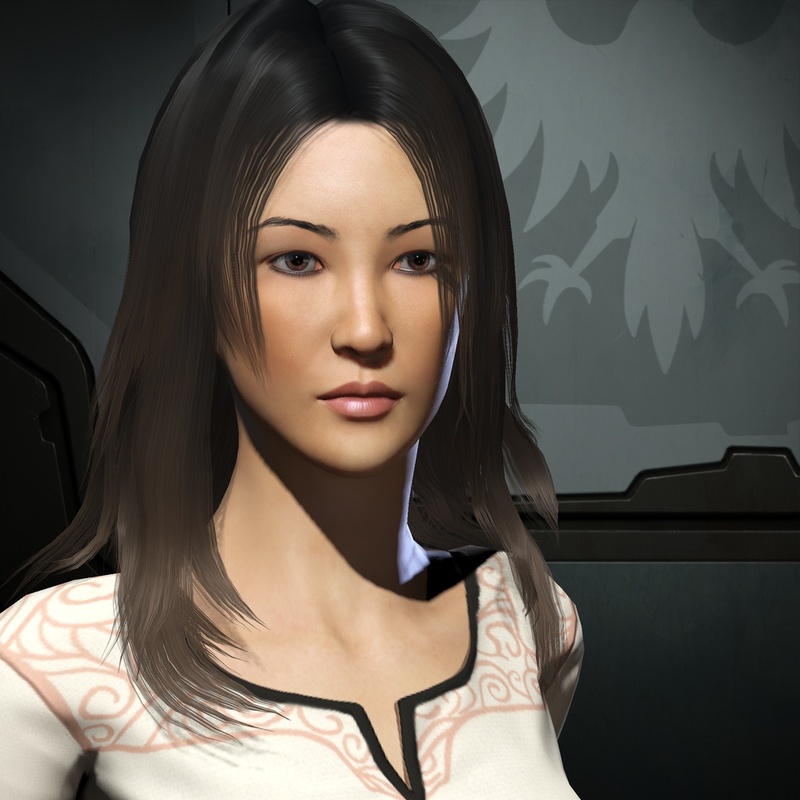 Dian Lung: I began playing EVE in December of 2007 and spent the first two-and-a-bit years focused on PVE, mainly high sec mission running. In early 2010 a friend convinced me to join Factional Warfare (FW)—initially for the ISK-making opportunities. That’s where I learned that not only do people willingly blow up other people’s ships, but it was actually kinda fun! My first intentional PVP experience was in Caldari FW, where I flew full-time until 2011 and intermittently until 2012. My first taste of low sec piracy was in early 2011 when I got up the nerve to join Wensley’s weekly roams. I met a lot of wonderful people on those roams and fell in love with both piracy and arty [ed: artillery fit] Hurricanes. I was briefly a member of Gunpoint Diplomacy but it soon became apparent that I wasn’t well prepared for the life of a solo pirate. I left RANSM a bare month after I joined to go back to the Militia, but I hadn’t given up on piracy. I had met several Tuskers during Wensley’s roams and began joining their gangs whenever schedule allowed. My full-time pirate career finally began in earnest in February 2012 when I joined the Black Rebel Rifter Club. Since then I have been a member of The Tuskers, Death By Design, Calamitous-Intent, and have flown with a number of other pirate corps. Hellcats Reloaded ultimately has its roots in low sec piracy, which is where I’ve spent my entire PVP career. I can’t say I know it all, but I’ve spent enough time in pirate corps to have an idea of what does and doesn’t work. I’ve flown both solo and small-gang, I’ve FCed, I’m apparently okay at teaching others about PVP, and I know enough people in the low sec pirate world to make HCATZ part of a community. Mynxee: What are your goals for the corp? How will it compare to the original Hellcats? Dian Lung: My vision for Hellcats Reloaded starts with an all-women low sec PVP corp, but my focus is on building a community. I originally envisioned a revived Hellcats as more of a brand, something like a guild or trade association for female pirates. I have since started leaning more toward a traditional corp model, but inclusivity is still very important to me and my plan is to make public roams a regular event. How will it compare to the original? I think the difference is mainly in our methods. In my mind, the new corp’s focus on community-building comes from the same root as the creation of Hellhounds. [HDOG] and HellFleet: there are going to be many people who can’t join the the Hellcats but still want to fly with us. Beyond that, it’s hard for me to guess how Hellcats Reloaded is going to evolve, but I hope the results are as well-regarded as the original Hellcats. Mynxee: Where are you in terms of progress toward your goals so far? Dian Lung: You can only build a community as fast as you can get people engaged, but I think we’ve made a good start at establishing our public presence. We have a Web site, Twitter account – which got a very warm welcome after the first Tweet! – and Sard Caid was kind enough to plug the corp on his Twitch stream. There are also a couple of public roams planned for the end of January/beginning of February, one exclusively for women and one open to all. Mynxee: What has been the biggest challenge so far, and what challenges do you see on the horizon? Dian Lung: So far, the hardest part has been the writing corp policies and announcements, the kinds of things that make an impression on others. I’m expecting the next big challenge to be keeping Hellcats Reloaded a women-only corp—which is a challenge I know you faced in the original Hellcats and also by the admins of the Women Gamers of EVE private channel in-game. Mynxee: What is the best way for people to find out about Hellcats Reloaded events or inquire about joining? Dian Lung: All information on Hellcats Reloaded can be found at our Web site and forums. We also aim to make announcements on the corp blog and Twitter, and I’m in the “Hellcats Reloaded” public channel in-game whenever I’m logged in. Everyone is welcome to join me there. Mynxee: What are your thoughts about the apparent gender disparity in Eve? Are there things you’d like to see done that might balance it by attracting more women players? Does gender disparity even matter in a game where people tend to focus on the avatar rather than the person behind it? Feel free to elaborate on this topic as much as you wish. Dian Lung: Before I say anything else, let me make it clear that I’m all for having more ladies in New Eden. 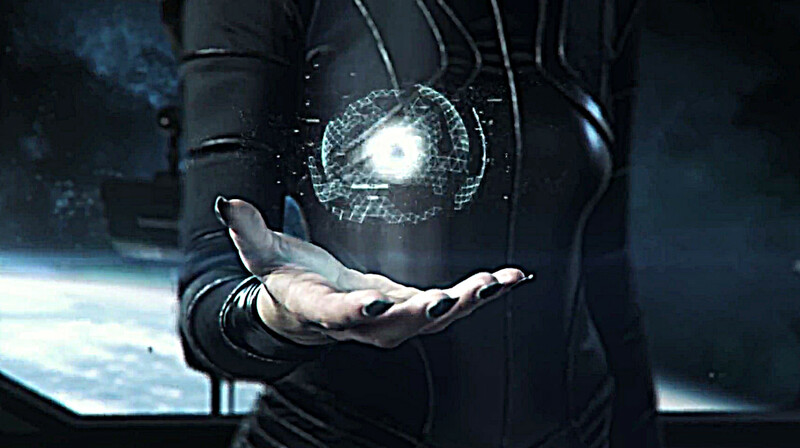 I think that the community of women who play EVE is a great thing to have and the more people who can enjoy it, the better. Having said that, I think it would be a mistake to try to get more women interested in EVE just for the sake of having more women interested in EVE. The gender disparity in the game might just be because relatively fewer women than men are interested in internet spaceships. One thing I’ve observed since I joined Women Gamers of EVE is that our members’ play styles are very diverse. There isn’t any one thing that women tend to gravitate to in EVE, which is strangely similar to how there isn’t one thing that men tend to gravitate to in EVE. In my opinion, it’s just as much of an injustice to force women into participating in something they’re not interested in for the sake of “gender equality” as it is to prevent women from participating just because they’re women. As long as everyone’s able to do what they enjoy, there’s no reason to force the balance one way or another. *** Many thanks to Dian Lung for sharing with us the start of her Hellcats Reloaded initiative and best of luck to her in that endeavor! This seemed like an apropos story to feature as my first article for Crossing Zebras but there are loads of other player initiatives that I would love to write about. Please send me an email in game or out (mynxee@crossingzebras.com) to suggest interesting community-oriented efforts being undertaken by players, now matter how large or small, so that I can consider them for future articles. Your comments and opinions are most welcome! Mynxee began her New Eden adventures in 2007 and has sampled most of the activities that New Eden has to offer in high, low, and null sec, but is best known as a low sec pirate and founder/CEO of Hellcats. She was elected CSM5 Chairperson in 2010.